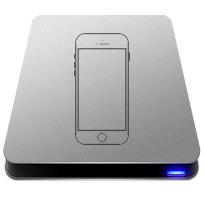 Your iPhone allows you to save files easily and more efficiently. Instead of using traditional ways to secure data, you can now save images and documents in digital devices – like the iPhone – that you can readily access anytime, anywhere. Unfortunately, this does not mean that your files are truly safe. Malware, water damages, and hard drive problems are just some of the factors that might cause you to lose your files. If your iPhone was damaged and you lost some of your data, don’t hesitate to contact Group Micro! We will take a look at your device, assess the problem, and retrieve your missing files right away.Our iPhone data recovery UCLA services will help student and staff to recover their lost data . We have recovered lot of data from water damaged or other problems iPhone .We are one of the best Los Angeles iPhone Data Recovery center near UCLA in Westwood Village .